It’s one of those looks that makes you stop and say ‘wow’. 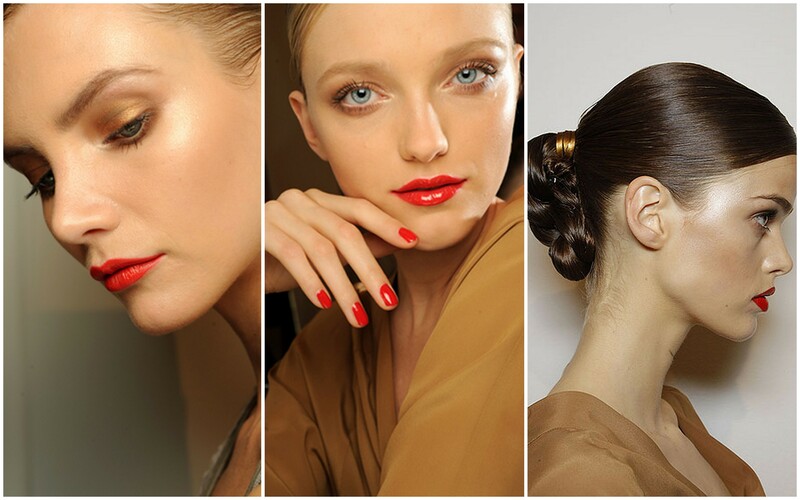 It’s statement eyes and lips, yet there’s a subtle refinement from such a bold move. The look featured on the Gucci’s Spring/Summer runway earlier this year, showcased dewy skin, glistening copper eyes and red lips with a slight orange tint. Hair was polished and slicked back into a braided ponytail. Gorgeous – definitely a look to try for the audacious bride!